When Peercoin (PPC) was conceptualized in 2013, one of its main goals was to alleviate the exorbitant amount of electrical energy required to power the bitcoin network. Peercoin's emphasis on a hybrid approach to mining is a key difference when compared to bitcoin's structure. 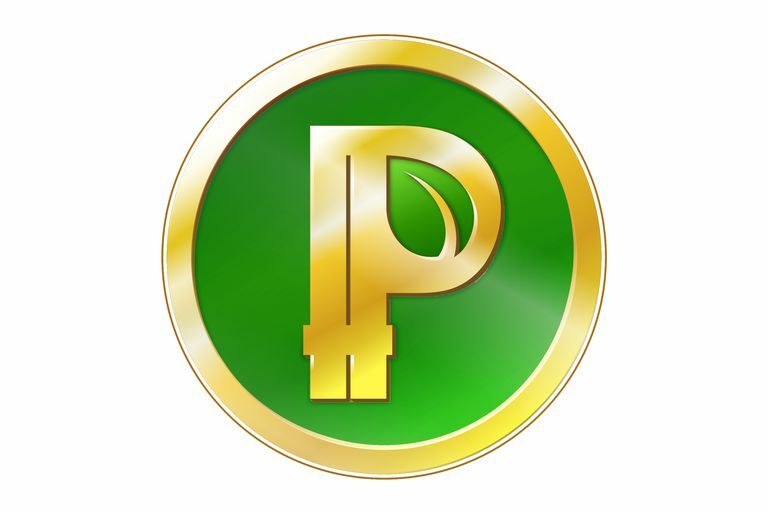 At its core, Peercoin is essentially a form of digital money that uses blockchain technology to maintain an easily accessible public ledger containing all transactions. This offers transparency, along with a relatively easy-to-use system of transfer and an open source codebase, just like what made Bitcoin the gold standard for those wishing to send and receive money without the need for a bank or other intermediary. Bitcoin is not without its problems, however, a fact that has influenced developers to create their own cryptocurrencies (often referred to as altcoins) to address some of these shortcomings. The back-and-forth transfer of most cryptocurrencies is facilitated by a public blockchain and the Proof-of-Work (PoW) concept. When a transaction first takes place, it is grouped with others that have yet to be validated to form a cryptographically-protected block. Computers on the respective coin's network then utilize their GPU and/or CPU cycles to collectively solve complex mathematical problems, passing a block's transaction data through a specific hashing algorithm such as SHA-256 (used by bitcoin). Each time a block gets solved, its transactions are verified as legitimate and are added to the blockchain. The owners of these computers, known as miners, are then rewarded with a share of the cryptocurrency for their work. While mining bitcoin and other Proof-of-Work cryptocoins can prove lucrative, it also places a noticeable strain on the power grid. At the time of publication, the estimated global mining costs for the bitcoin network alone were well over a billion dollars annually and its electricity consumption as a whole could power more than two million homes across the United States. First publicized in 2012, the Proof-of-Stake (PoS) concept aimed to replace or at least supplement the Proof-of-Work mechanism so that crypto transactions could be validated on the blockchain without requiring such a large electrical footprint to do so. Instead of needing power-hungry miners, the staking process selects nodes based on how many coins are being held in an individual's virtual wallet. Those who have more coins have a better chance of getting chosen by a deterministic algorithm to add a new block to the blockchain, and in turn, collect the rewards that come along with this achievement. Although significant processing power wasn't needed to solve the block, as is the case with traditional mining, transactions were still proven and validated before being added to the ledger. In the case of the Peercoin network, this alternative PoS method is referred to as minting. Peercoin's developers decided upon a hybrid approach when designing their altcoin, based on a modified version of bitcoin's codebase. While PoW and PoS present their own individual challenges when employed as standalone proving systems, a combination of the two was unique only to PPC at the time of its release and garnered interest among crypto enthusiasts. Although traditional processor-based PoW mining is utilized by Peercoin, so is its PoS system; the latter which keeps it safe from a 51% attack where one party could essentially take control over the majority of the network and manipulate the blockchain. In order to facilitate such an attack, the attacker would need power over more than half of all minting coins -- a feat that seems next to impossible, especially taking into account that the attacker would most likely harm his or her own Peercoin investment as well. Minting Peercoin earns 1% annually, which is a separate reward from any coins you might accumulate through standard PoW hashing. Coins held in your wallet become eligible to mint after a 30-day period, and the more often you mint the more chances you have to earn supplementary PPC. Specific hardware is needed to mine Peercoin, but minting can be done on practically any device. There is a safeguard in place to prevent those with the most coins from monopolizing the minting process. Coin age dictates that chance of success is maximized at the 90-day point, so not all coins will be considered in the minting algorithm in perpetuity. One of Peercoin's original targets was to eventually phase out Proof-of-Work from the equation altogether, but its slow growth and the fact that PPC doesn't even rank in the top 100 altcoins in terms of market share makes it highly unlikely that this will ever actually take place. What Else Makes Peercoin Different? In addition to its hybrid approach to coin creation and block validation, Peercoin differs from bitcoin in some other notable ways. Number of Coins: While bitcoin has a limit of 21 million coins, there is no true cap on the number of Peercoin that can be generated. This is offset by a steady 1% yearly inflation and increased mining difficulty over time. Block Time: The average time between block generation at the time of publication was 7 minutes, due in part to the low transaction volume for PPC. In comparison, a new block is generated roughly every 10 minutes on the bitcoin network. Transaction Fees: Bitcoin's transaction fees adjust and are driven by its corresponding value, while Peercoin's fees are defined by the protocol itself. Although its popularity has waned tremendously over the years, Peercoin can still be bought, sold and traded through a number of active exchanges. Ed. Note: When investing and trading cryptocurrencies, be sure to watch for red flags. You can also send and receive Peercoin directly from your digital wallet to or from another address, as well as store your coins in this private key-protected software. It is recommended that you only download Peercoin wallet software directly from the official website, which provides clients for Android, Linux, macOS, and Windows operating systems. The site also offers instructions on how to create an offline paper wallet.